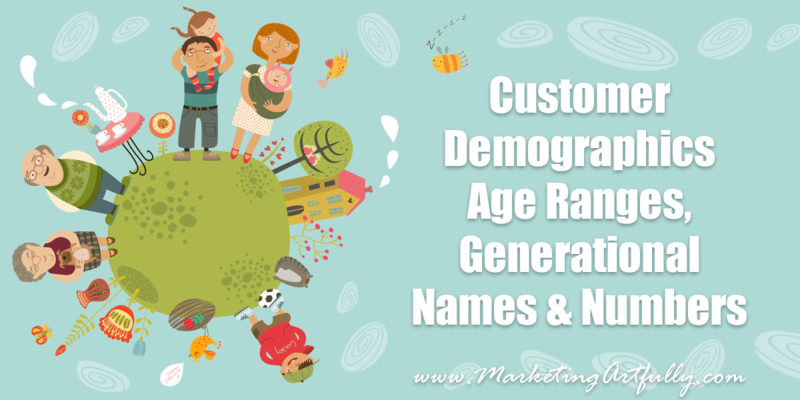 Today’s post is a reader question: What are the generational age ranges for the different customer demographics including ages, how many are there and what are they called. How Does Knowing Age Ranges and Generational Info Help With Marketing Strategy? If you understand customer demographics and how it fits into your small business you can truly make some great leaps in progress with your marketing plan! I thought a real world example might be helpful for understanding how this all works! But is she my target demographic for marketing (getting website views, selling affiliate products and building an email list?) NO! My target demographic is the Sandwich Generation, younger Baby Boomers and Gen Xers who are now stuck with caring for their aging parents WHILE raising their own children. Baby Boomers are a consumption generation, taking advantage of their large buying numbers and desire to be seen as “cool and hip”. Gen X-ers are a practical bunch who grew up before the internet and who took care of themselves at home after school as latchkey kids while their moms went back into the workforce. So with two different demographics I can target in my marketing efforts, I need to make sure to create content that would appeal to both of those models. Posts about products to help take care of elderly people AND practical tips for how to do it all yourself. 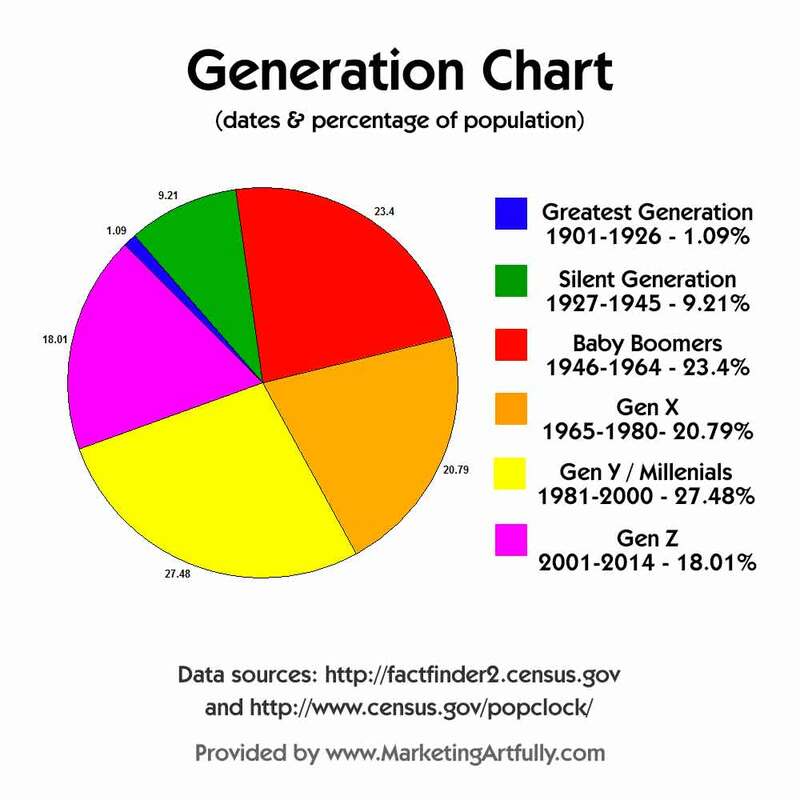 The great thing is that by knowing how each of the generations responds to marketing, I can make sure that I am creating content (blog posts, graphics, social media posts) that will be interesting to both groups. The numbers and charts provided are for marketing purposes only and should not be taken as gospel! We are waiting for updated data from the next census to revise percentages. Previous Post: « Should You Put Ads On Your Website?